Our Super Screen is a 17 x 14 mesh with a .013 wire diameter. This material is designed to keep out the insects well retaining your view to the outside. Super screen is available in 25ft, 50ft and 100ft rolls in several width sizes up to 120” in black. Limited sizes are now available in a white. In addition the Super Screen comes in a tiny mesh designed to help keep out the smallest of bugs and No-See-Um insects. The tiny mesh Super Screen is a 17 x 20 mesh with a .014 wire diameter. This tiny mesh Super Screen material is also available in black and in roll widths up to 120” wide. ENCLOSURES: Super Screen makes an excellent choice to enclose your pool, patio or porch with a fabric designed for maximum durability. It was developed to be long-lasting and worry-free. Super Screen outdoor fabric is the new generation of outdoor screen protection for outdoor casual living. Super Screen exceeds the requirements of Section 553.73 of the Florida building code for screen enclosures. 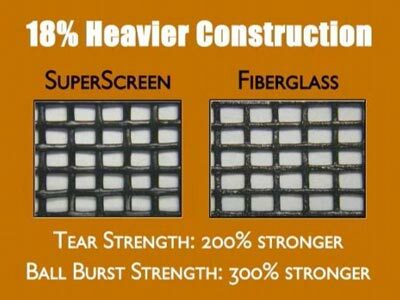 WINDOW AND DOOR: Super Screen is a great choice for your window and door screens. Pet and hail resistant! 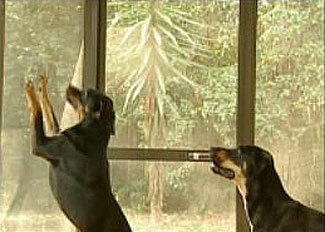 It has the strength to be used as a light weight Pet screen without compromising your visibility to the outdoors. UV Protection / Stability: UV tolerant. 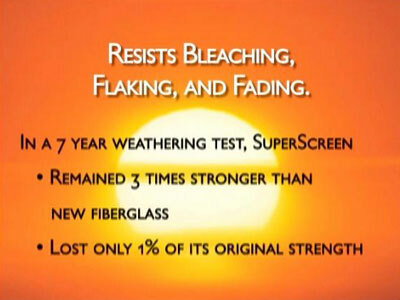 Competitive fiberglass products tend to get brittle with age and sun exposure. 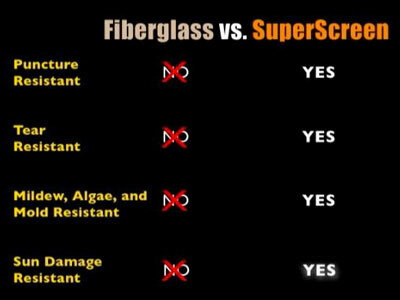 Mildew Resistant: Super screen is easy to clean and maintain. Decreased maintenance and debris control. Life Expectancy of 10 or More Years: Manufacture offers a 10 year warranty on product against normal wear and tear.